Mary Wollstonecraft Godwin, best known as Mary Shelley, was born in Somers Town, London, in 1797. She was the second daughter of the political theorist, William Godwin, and the feminist educator, Mary Wollstonecraft, who died ten days after Mary was born. In 1801, William married Mary Jane Clairmont, who was cruel, and didn’t like her step-daughters. Mary’s father gave her permission to visit his library, which encouraged her to write her first poem "Mounseer Nongtongpaw", published when she was just eleven. In 1812, she met Percy Shelley, who was unhappily married to Harriet. They met again in 1814, and escaped to France, because there parents disapproved them. Percy was very self-centred, and paid more attention to Mary’s step-sister than he did to her. In February 1815, she gave birth to Clara, who died in March, and in January 1816, to William. That year, they travelled to Lake Geneva, in Switzerland, where one afternoon, Mary and some friends had a ghost-story writing contest. She didn’t have any ideas, but she heard the other stories, and that’s why one night, she had a walking dream that inspired her to write “Frankenstein”. 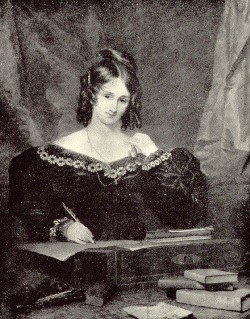 In December 1816, after Harriet’s suicide, Mary and Percy got married, with their parent approval, and in 1817, she finished writing Frankenstein. Later that year, she gave birth to Clara, and one of her books was published anonymously. In 1818, Frankenstein was published. They moved to Italy, where Clara and William died, and Percy Florence was born. In 1822, Percy Shelley died, and in 1851, Mary died in London. Good summary, congratulations. Next time, I suggest you divide the information into paragraphs, it`s esier to read then. Didn´t you find any pictures? or did you have trouble in uploading them? Consult me or your IT teacher for help. Well done!